SAUSAGE TREE SAFARI CAMP in the GREATER KRUGER PARK. 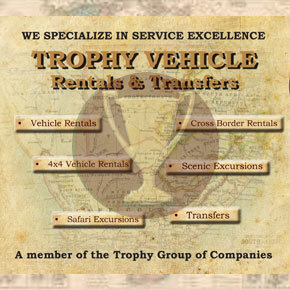 Safari – a Swahili word used originally in early East African times, means “long-journey”. 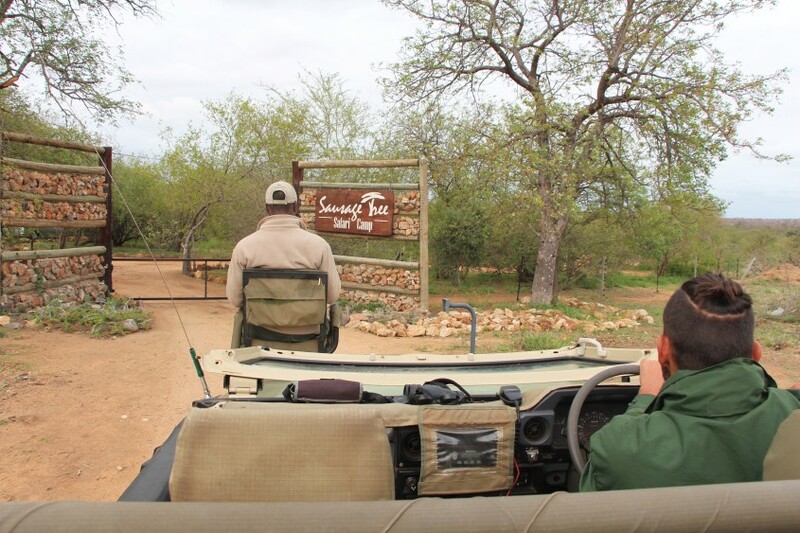 Our game drives are journeys where we experience through all our senses… the sights, smells and sounds of the vast surrounds from our private and unique Camp. What you might not see during the day, you could hear at night. Sausage Tree Safari Camp is situated in the vast Balule Nature Reserve, part of the Greater Kruger National Park and sanctuary to Africa’s famous Big Five. 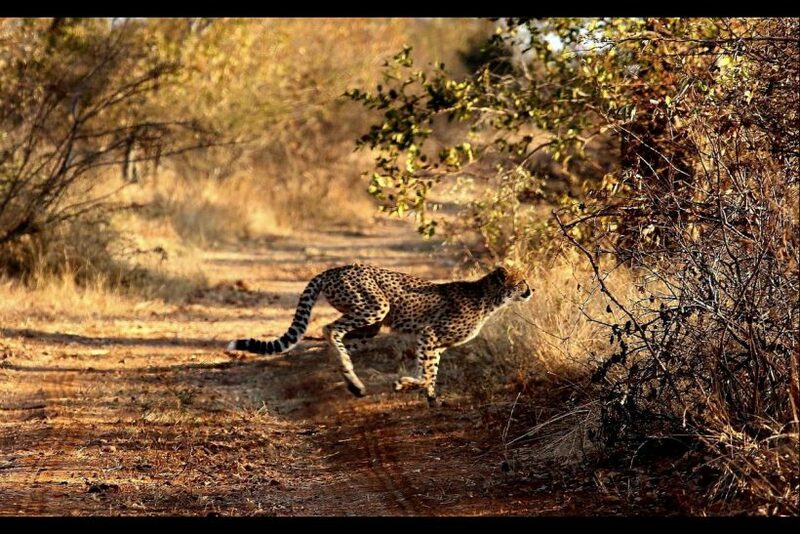 With approximately 2500 ha of traversing, including 4kms along the Olifants River you can look forward to a true safari experience of wilderness and undisturbed biodiversity. 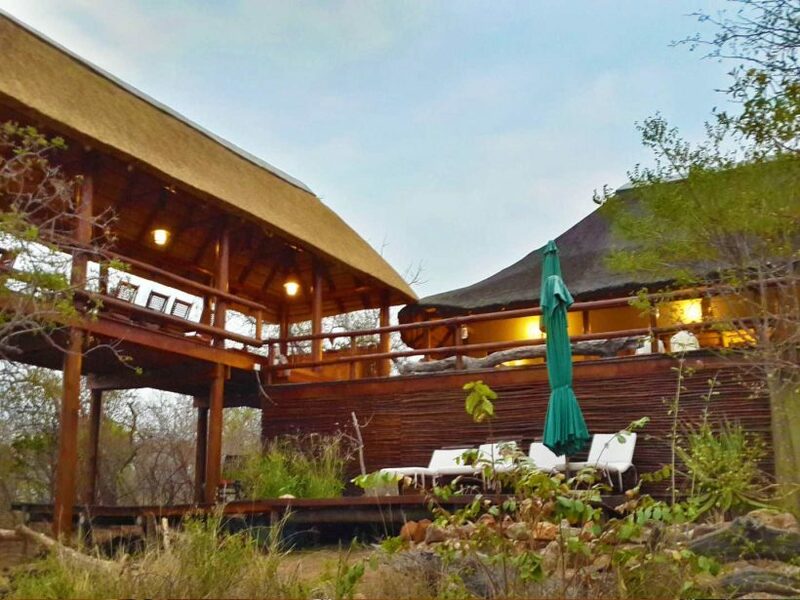 Uniquely positioned in the bush between Marula, Acacia and Sausage trees with its own special view above and beyond the thorn trees, our waterhole and the majestic Drakensburg range on the horizon, Sausage Tree Safari Camp is a place not easily forgotten! Balule Nature Reserve was established by a group of like-minded, private landowners in the early 1990s. From the start, their objective was to create a larger, open system with no fences to hinder animal movement thus creating a much healthier habitat for fauna and flora. The Reserve has since grown from the initial 11,000 ha to 55,000 ha, approximately 150 km of fences have been removed and it consists of both private and commercial properties. In 2004, the Eastern boundary fence was removed and Balule was officially incorporated into the Kruger National Park (established in 1898). Thus, Balule is now part of an open system that covers over 2 million hectares in South Africa and is widely regarded as one of the most successful conservation areas in the world. Balule is mostly made up of mixed Acacia and Combretum woodlands, which sustain 94 mammal, 280 bird, 72 reptile and 128 tree species, not to mention the insect, fish, amphibian and other plant species. 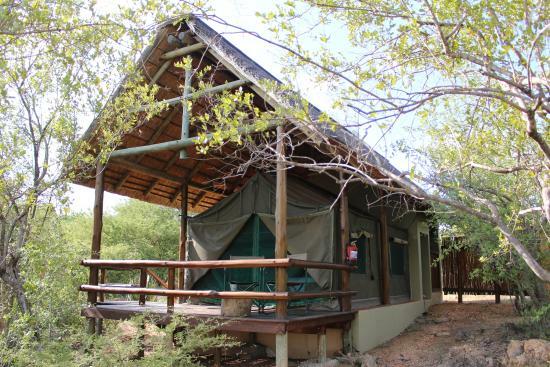 Olifants West Nature reserve is set within Balule and is where Sausage Tree Safari Camp is situated. Notably, it is the birthplace of a unique anti-poaching initiative, the Black Mamba Anti Poaching Environmental Monitors, recruited from the surrounding communities. They are doing a fantastic job in keeping our rhino safe and in the process, have gained worldwide recognition and environmental awards. Sausage Tree Safari Camp is proud to be part of this massive undertaking, and will continue to help protect and support this very special conservation area for future generations. 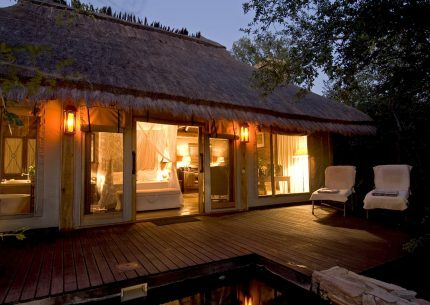 It is in these amazing wilderness areas where a traveller can still find an authentic safari experience. 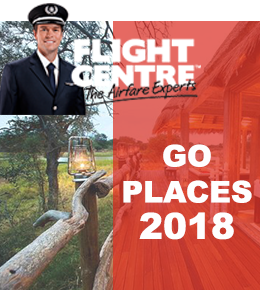 Accommodation Rate Includes: En-suite safari tented accommodation, breakfast, lunch, dinner, tea and coffee, 2 game drives on big 5 conservancy per day and 14% VAT. Accommodation Rate Excludes: All beverages, gate entry fees, transfers, additional tours, all travel/medical/personal insurances. Children (Ages 8 up to 12 years) sharing with Adult(s) = 75% of Adult Sharing Rate. We regret no children from 0 up to 7 years of age. Have you ever slept under canvas in the African bush? Well there truly is nothing like it! The sounds of the night are closer, the smells of nature are stronger, and the feeling of actually being in the bush is so much more intense. 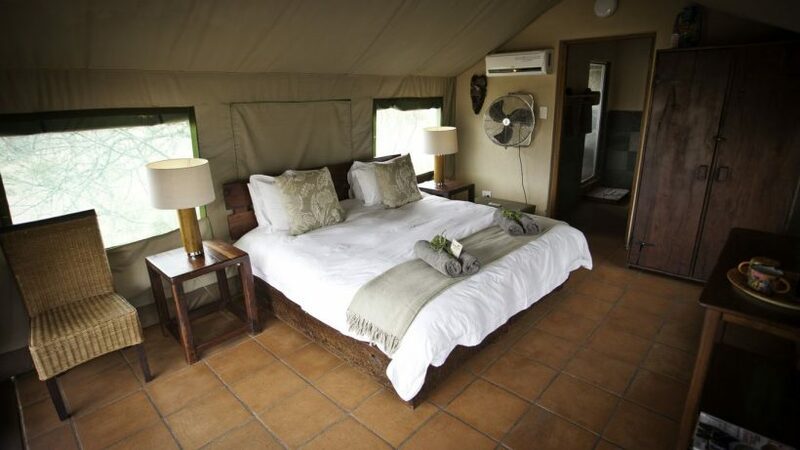 Our luxury, African-styled safari tents are nestled in between Marula, Knobthorn, Acacia and Sausage Trees and overlook a dry river bed, the bush and the majestic Northern Drakensberg Mountains. They are built in an elevated position each with its own special view. 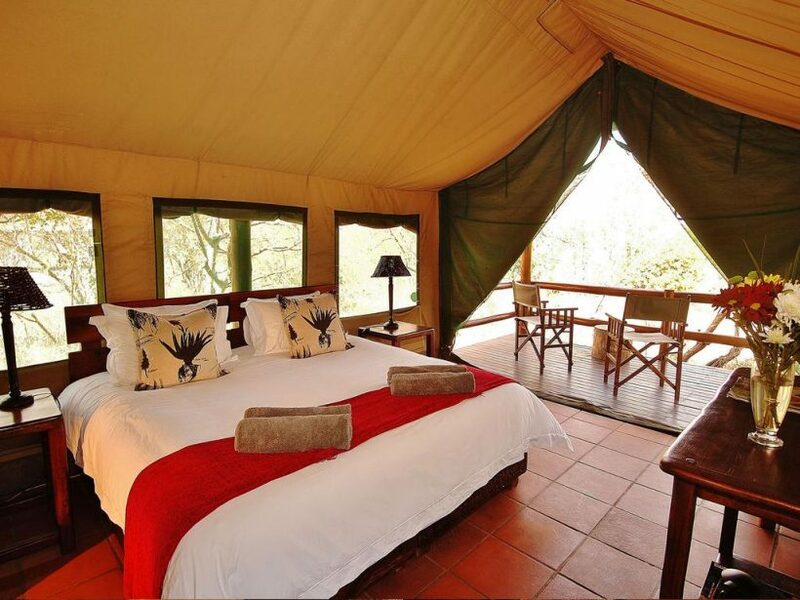 The tents are comfortably furnished and feature an ensuite bathroom with a bath and an outdoor shower. They are fitted with eco air conditioners ensuring that you stay cool on hot summer nights… and can be used as a heater during the colder nights in winter. 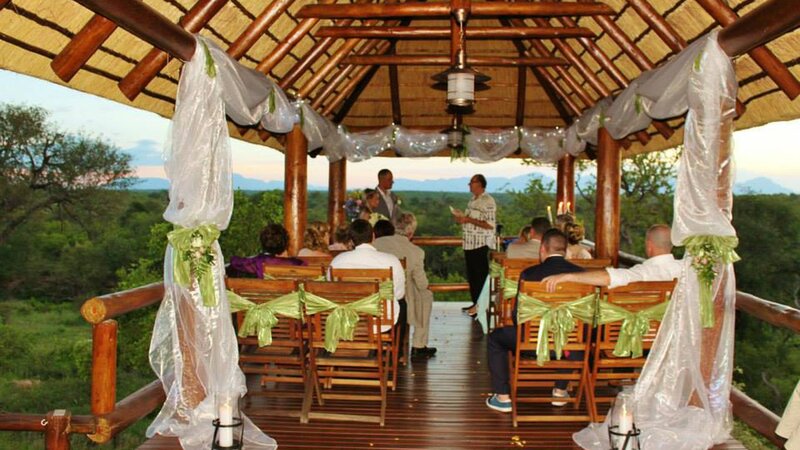 Each tent has its own private deck with wonderful views of the mountains and the African bush. Insect gauze on all the windows and doors keep the insects outside where they belong. 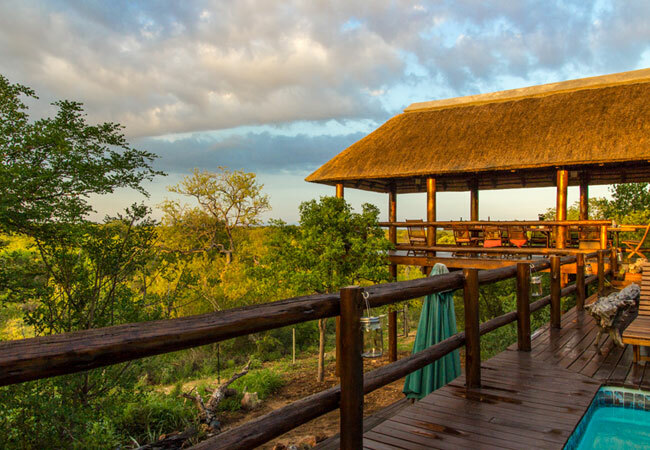 Set in the Balule Nature Reserve which forms part of the Greater Kruger National Park, Sausage Tree Safari Camp is not only surrounded by the African wilderness, but also offers spectacular views of the Northern Drakensberg Mountains. 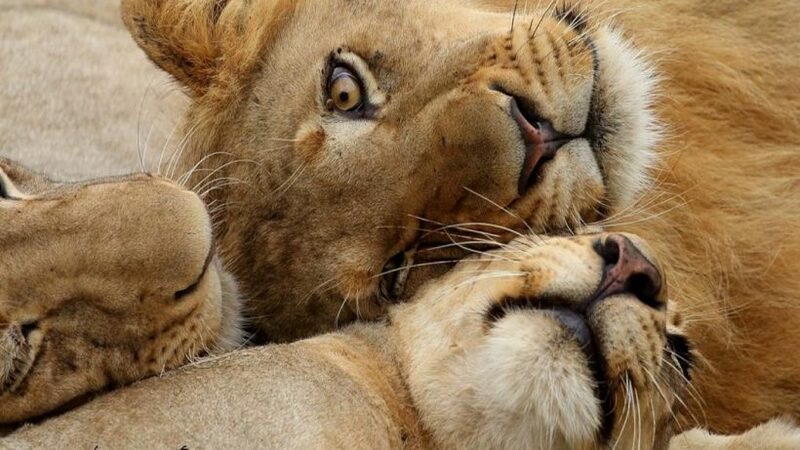 This intimate safari camp is owned and managed by James and Sonja together with their passionate, dedicated team and prides itself on a warm, welcoming atmosphere, personal service and an authentic safari experience. 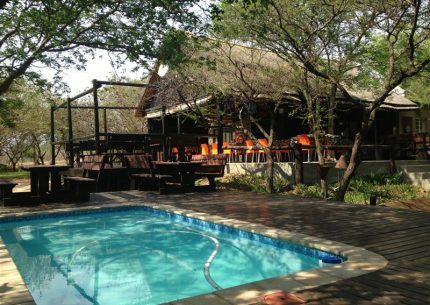 Breakfast and lunch is a social affair and is served on an open deck with uninterrupted views of the bush and a water hole frequented by a variety of animals. 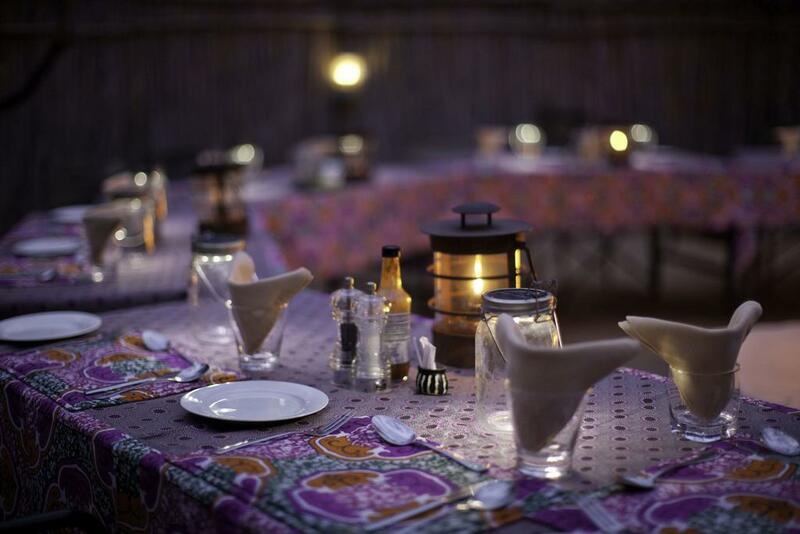 Dinner is mostly served under the stars, around the fire in our traditional styled ‘BOMA’. The camp has an indoor and outdoor lounge and a cosy bar complete with a variety of first class South African wines and a selection of South African craft beer and gin. 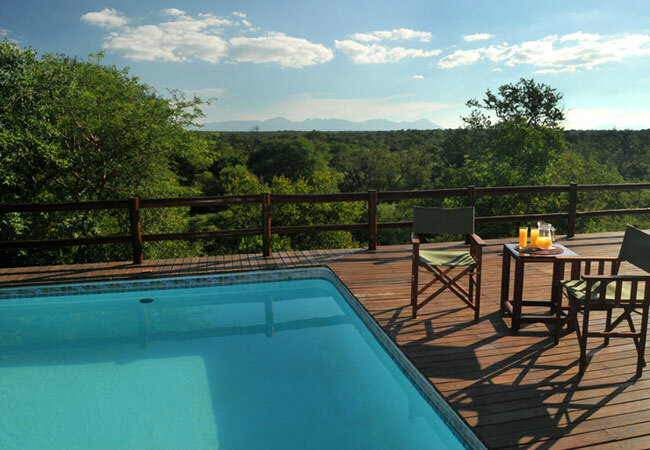 The refreshing pool set in our deck will cool you down on our hottest summer days – the perfect place to relax between game drives. 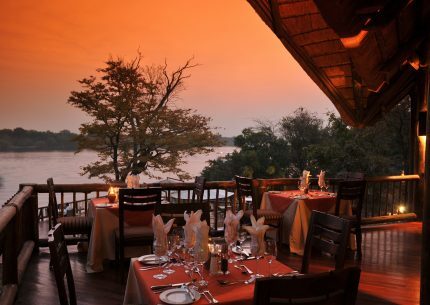 Should dinner be served on the deck the fire pit is lit adding some romance to those magical, African nights. We offer WIFI as a free service at Sausage Tree. We do encourage you to keep your mobile phones on ‘silent’ during your stay. 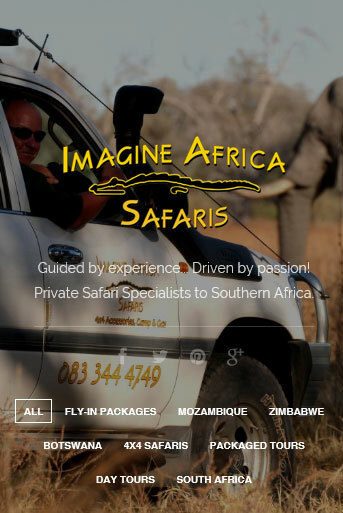 Each morning and late afternoon, an experienced, professional guide and tracker will take you on a safari game drive through thick bush and along open plains in search of the Big Five (elephant, rhino, buffalo, lion and leopard) as well as a myriad of birds and game species such as giraffe, zebra, warthog, kudu and impala. 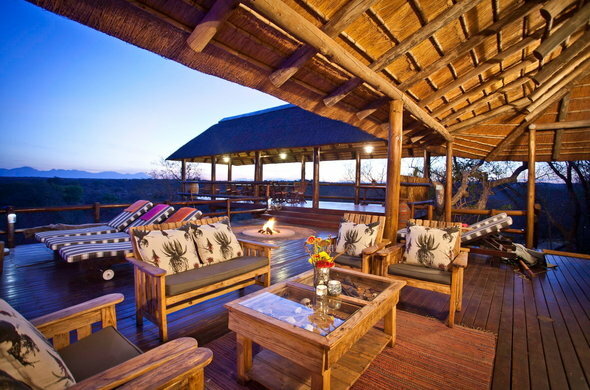 Sundowners will be served with tasty snacks watching the sun set over the African bush. During the drives there is a lot of emphasis on giving information on everything that is encountered – whether your interest is birding, insects, plants or trees, your guide will happily share his knowledge with you. Our guides also focus on some of the less noticeable aspects of the bush. 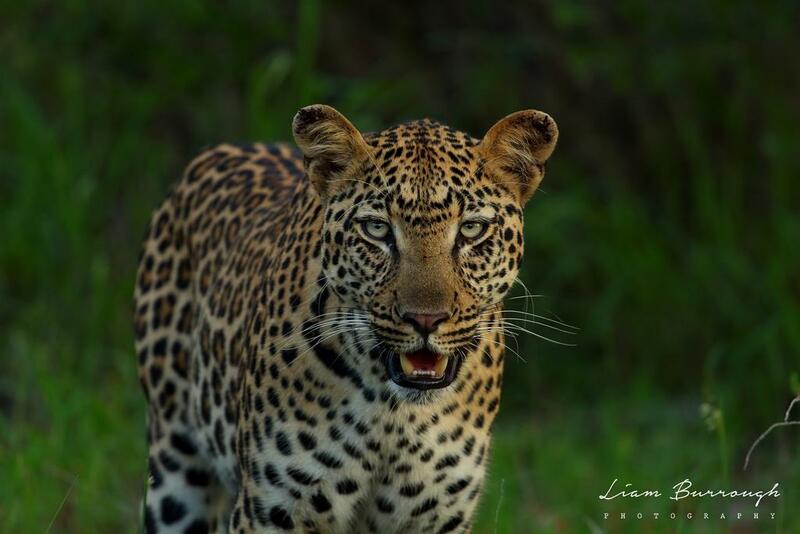 Driving along the Olifants River you will often encounter hippo and crocodile, and a variety of birdlife including the occasional, very special sighting of the much sought after Pels Fishing Owl. Imagine having a therapeutic spa treatment while listening to the sound of Africa’s natural orchestra…. true nature inspired, sound therapy. Pure, fresh air and a silence so beneficial to the spirit. Many conversations we have daily are sadly clouded by urban noise and it is amazing how being in the African bush can enable one to connect again with oneself. 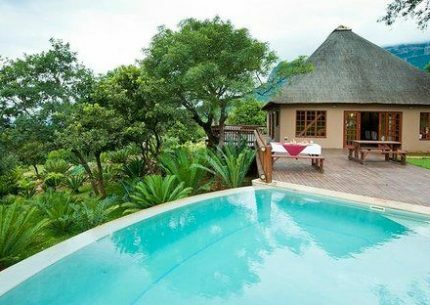 If you are taking a long overdue break to recharge energies and connect with nature, you can now enjoy spa treatments at Sausage Tree Safari Camp on your own private deck. The Spa line ‘Africology’ meaning ‘the study of Africa’ is based on indigenous healing modalities and rituals. Key ingredients in the products include rooibos, aloe ferox, the omnipresent Marula, the African potato and the Sausage Tree. Therapeutic in its approach, Africology only uses all-natural ingredients that are bio-identical to your biology; effectively enhancing the integrity of your skin whilst simultaneously preventing premature aging. The Africology range celebrates Africa’s rich heritage and indigenous plant actives. The product makes use of Kigelia extracts from the Kigelia Africana (Sausage Tree) and its scientific benefits include anti-inflammatory properties, fights against free radicals, tightens the skin by increasing collagen production and increasing moisture levels in the deeper layers of the skin. The African Sausage Tree, also known as Kigelia Africana has been used for centuries by our indigenous peoples for healing purposes and is derived from the fruit of the tree. It relieves pain and encourages the natural healing process for burns (including sunburn), fever blisters and pimples! Africology can be considered as the leading natural, eco-friendly and holistic spa and skincare company in South Africa, with its success spanning across international borders such as the USA, Europe and Britain. Breathtaking views of the Northern Drakensberg. 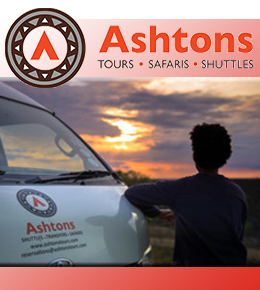 Bush Pub & Inn is a self-catering venue easily accessible for self drive travelers. 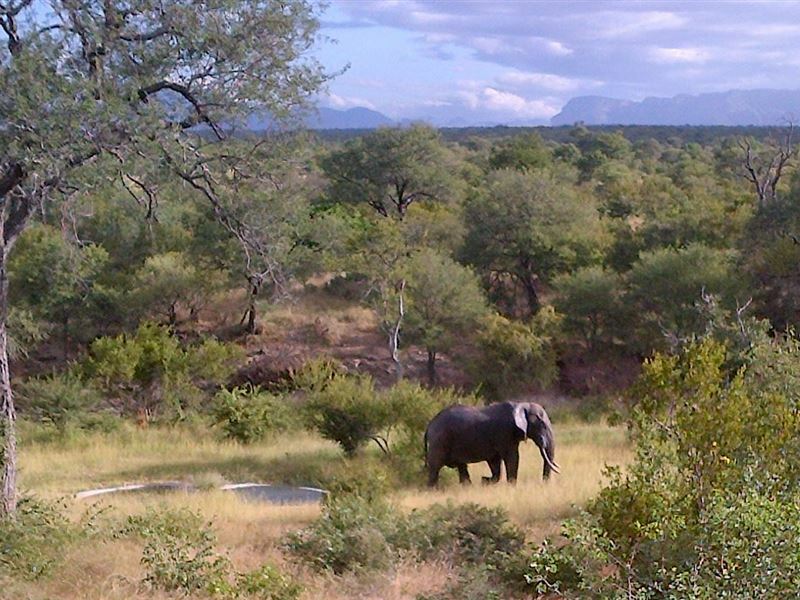 Elephant Safari and Big Five safaris in the Kapama Reserve.